A comprehensive online course with 35 video lessons, which can be viewed on any device. Exercise files, templates, add-ons list, cheat-sheets, and downloadable video lessons for offline viewing. A comprehensive online course with 35 HD video lessons, which can be viewed on any device. We’ve designed this course to be tailored specifically for aspiring animators, or professional animators transitioning from a different program (like Maya or 3D Max). 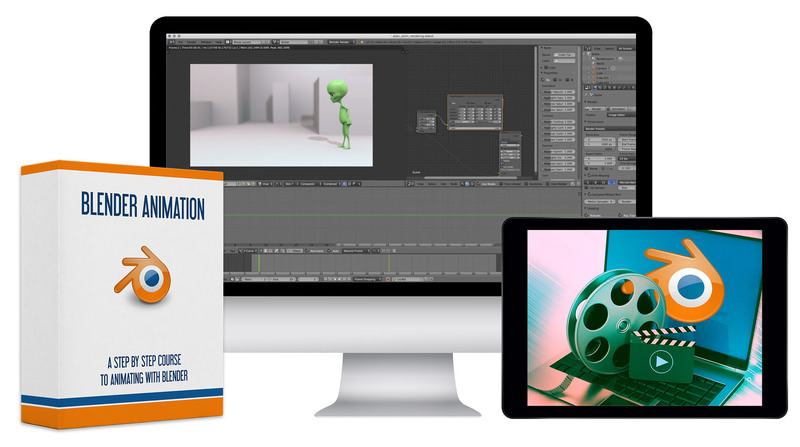 Even if it's your first time animating with a 3D software this course will take you through all the necessary tools so you can start animating straight away. 6 modules with 35 HD video lessons. Lessons look great on any device you own. All the original Blender files + scene template featured in the lessons available for download. Recommended Blender add-ons, and cheat-sheets with common shortcuts and procedures. Making an Animated Movie - a 30 lesson course is included with every purchase. 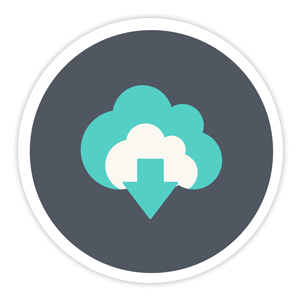 An option to download all the video lessons for offline viewing. 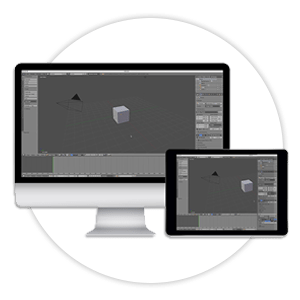 We’ll start by going over the Blender interface and understanding how to manipulate objects in our scene, then we’ll cover all major animation tools like the dope sheet, the graph editor, and learn how to create and use keyframes. We'll set up a scene from scratch and do all the preparation for animating it, like importing a rig, creating a camera and getting the right settings set up for animation. We’ll then jump in and actually animate an entire shot from start to finish. We’ll sketch the poses with the Blender grease pencil tool, block our shot, spline it, polish it, and see how all the tools we’ve learned are being used in production. When the shot is done, we’ll go over some render settings, just enough so you can export a great looking shot with minimal effort. We hate long, dragged-out tutorials. We believe in bite-sized lessons with a clear structure that get straight to the point without skipping any important information. We’ll take you step-by-step through the program’s learning curve. Animation training can get expensive. Animation courses can be pricey, often in the thousands of dollars. These programs cover entire skill sets, including many topics you'll probably never use. 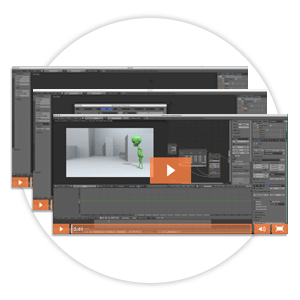 Our courses are just the right size and very cost-effective, teaching exactly what you need to know to start animating right away. 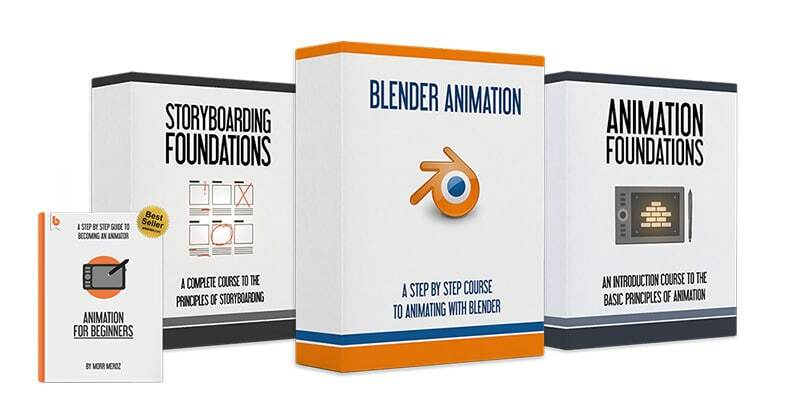 Bloop Animation Studios is a leading platform in animation training, with hundreds of video tutorials and articles, books, 10 animation video courses and 3 animated short films under its belt. 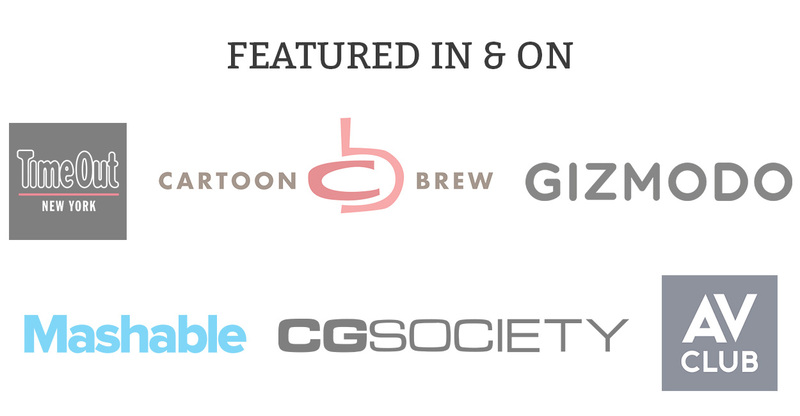 As animators, we built this course from the ground up to be tailored to other animators and filmmakers. Professional or aspiring. Bloop Animation provides a very simple-to-use learning platform, making all the content easily accessible. The option of downloading the video lessons makes it easy for me to carry the course with me wherever I go. I always have it on my iPad and it’s a constant reference. 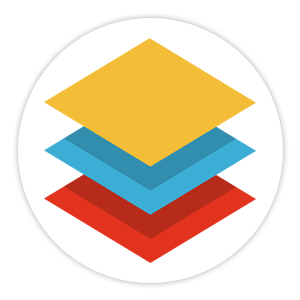 Is the software included with the course? 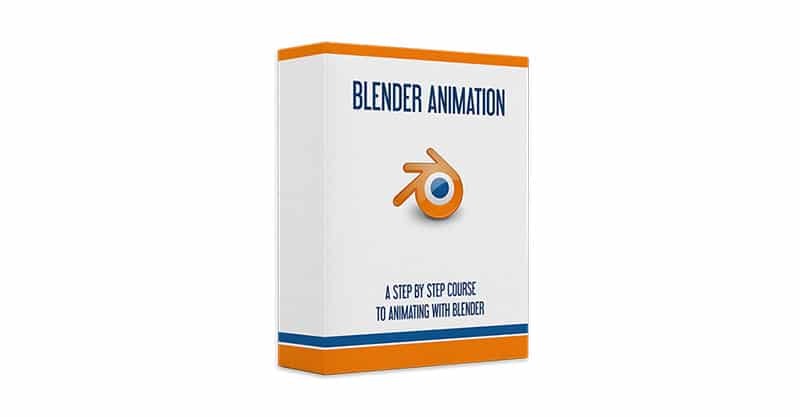 No, you will have to get Blender yourself, but it’s FREE! What hardware do I need? As long as you have a relatively modern computer and can run Blender and connect to the internet, you should be good to go. No worries, the course comes with a 30 day money back guarantee. If you don’t like the course, simply email us and you’ll get a full refund, no questions asked. Will I always have access to the class or is it just for a limited time? You will always have access to all the courses and products you purchase from Bloop. Will I get the whole course right away, or will it be available over a period of time? 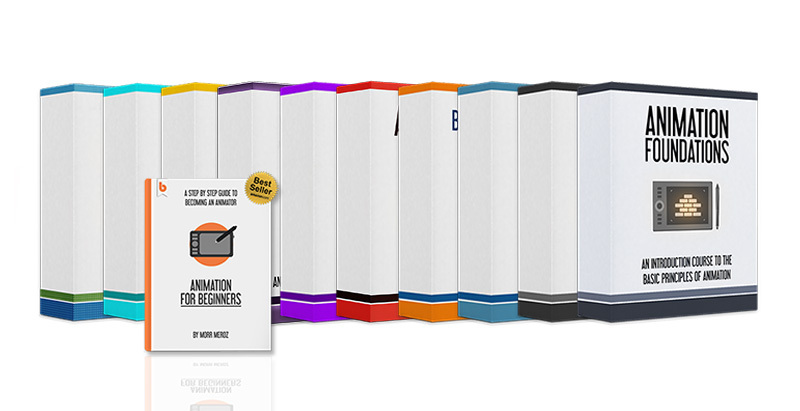 You will have access to the entire course and materials immediately after purchasing. I’ve never used this program before. Will I be lost? This course was created assuming you’ve never used the program before. We go over all the basics to make sure you are able to follow along. I don’t know how to animate. Will I be able to follow? 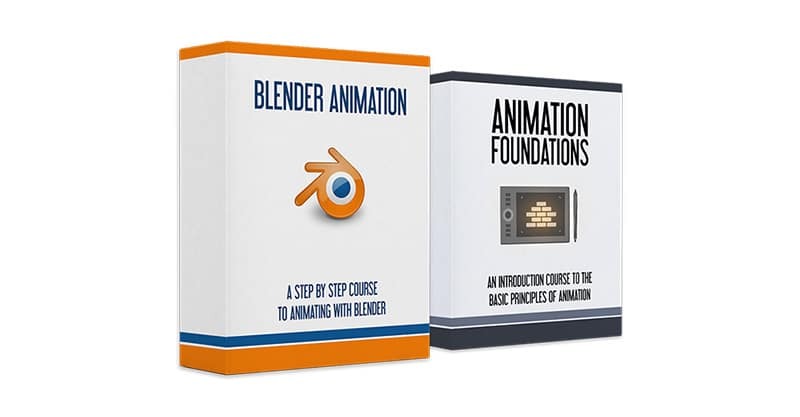 Yes, however I should mention that this course does not teach the concepts of animation, but rather shows you the tools and methods for animating with the software. 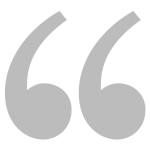 Check out our Animation Foundations course for the basic principles of animation. Are you an educational institution / teacher? Check out our educational licenses. 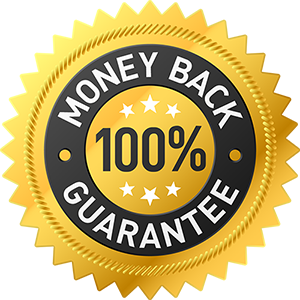 Our course comes with a 30 Day Money Back Guarantee. We're ready to prove everything we claim. Buy the course today, and see for yourself. If the course does not live up to any of the claims stated here, I will refund every penny back to you. No hassles and we can part as friends.